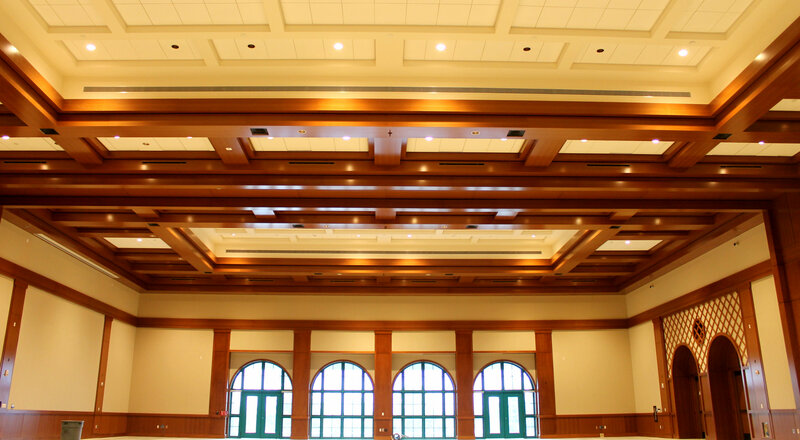 Recessed lighting shining on the east windows of Montezuma Hall, chandeliers coming soon! Bowl, Strike, Rest, Repeat. 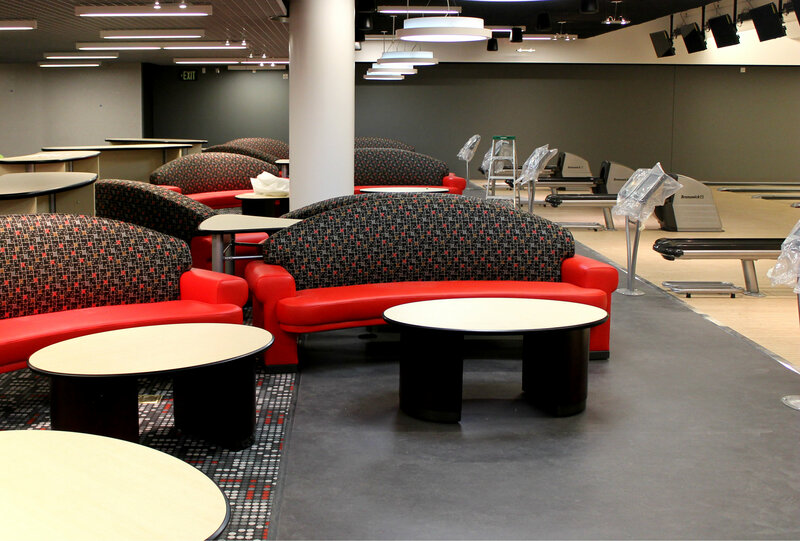 Aztec Lanes couches ready for breaks between frames. 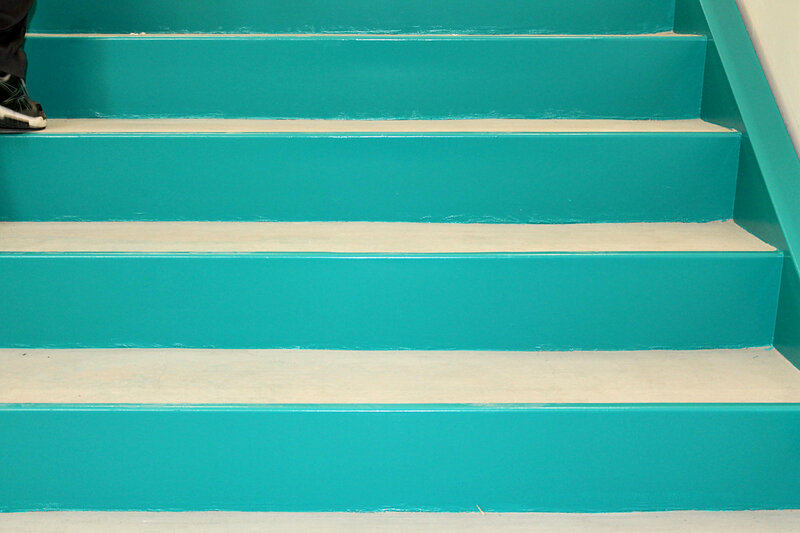 Stairs in stairway three of the Union are almost ready for SDSU students, faculty, and community feet. 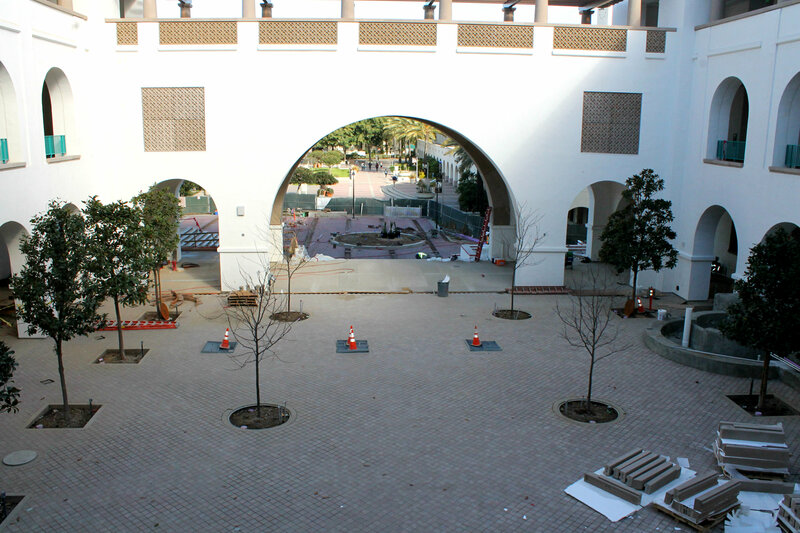 Trees are planted in Goldberg Courtyard. Dizzy yet? 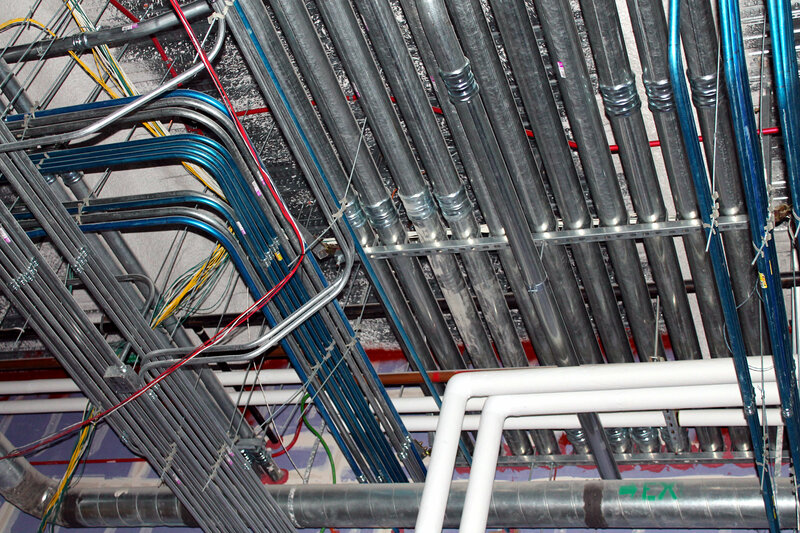 Electrical, data, and HVAC conduits running above The Habit Burger Grill.